I needed to get a better photo of the mystery quilt that I completed and so I got my husband to hold it up. It was a bit windy and quite cold out but I did manage. Spring will be here soon. Unfortunately, the weather people are predicting a snow storm for us in the next day or so. Bob the Snowman has been hanging up in the hall since the first snowfall of the season and I felt it was time for a change - even if the snow is not finished. My friend Judy gave me this pattern as a gift a while ago. I was itching to make something new for the hall wall so last week I worked on this pattern. 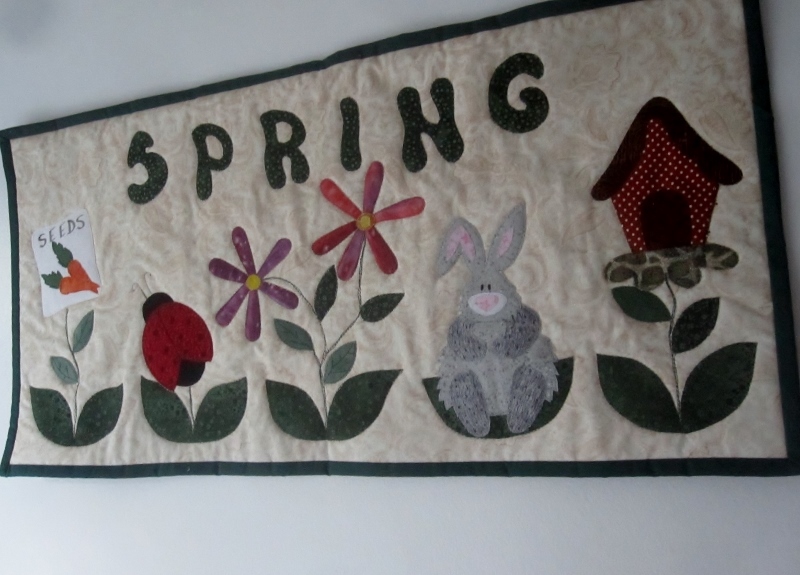 Since I want the grandchildren to enjoy the wall hangings, I simplified it a bit and just used the word spring. 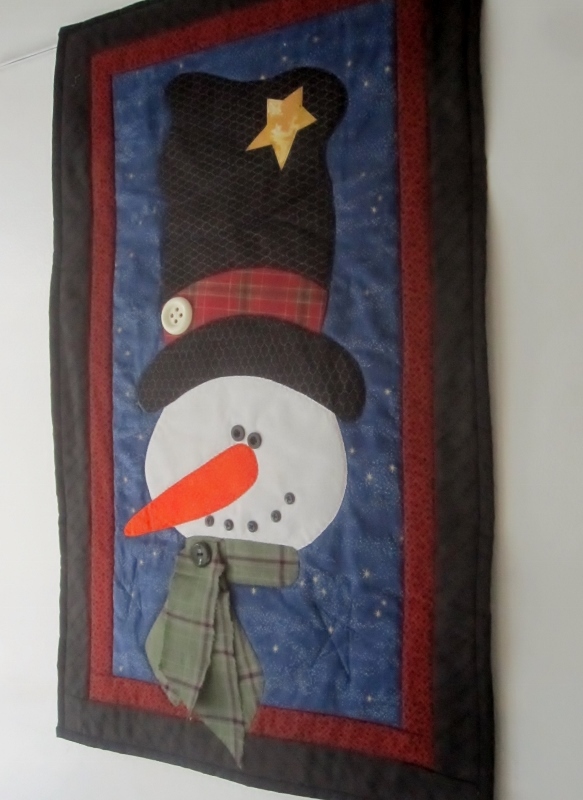 Fusible applique and machine quilting is not fast. This took me a few days to do but it's finished now and hanging in place of Bob the Snowman. Here's another shot of the new finish. I labelled it on the hanging sleeve. It saved me some time. Little Teemu likes the ladybug and the bunny. I've got some knitting to finish and some other sewing to get done next - and maybe even some shovelling. 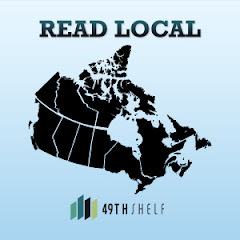 I'm linking up with The Needle and Thread Network. 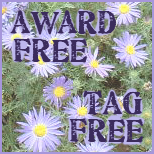 Pop on over to see what others are up to. 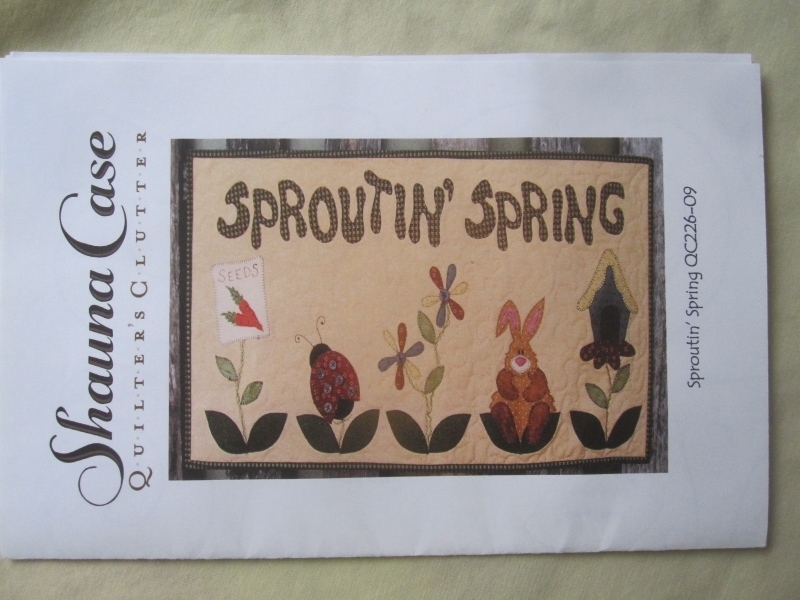 Love your Mystery Quilt, and the Spring wall banner, that is so lovely, and any littly would enjoy every part of it. The new little quilt is cute, and your grandchildren will love to look at it. Fusible applique takes time but I prefer it to needle turn applique any time! Beautiful mystery quilt finish! And love your fresh new wall hanging for your grandchildren to enjoy (: We are lucky to finally have some warmer days here, with quite some sun. I can feel and smell spring! Your mystery quilt turned out beautifully! And I like the spring wall hanging - we need to think spring thoughts and maybe the predicted yuck won't happen. Fingers crossed! Dolores that mystery quilt is just stunning - so beautiful!!! And I love the "spring" wallhanging. I used to have a wooden sign that I hung up around Christmas, it was red and white and said "let it snow", hubby would threaten to burn it by February, lol. Your Spring wallhanging is so sweet; I can imagine the little ones enjoy them. 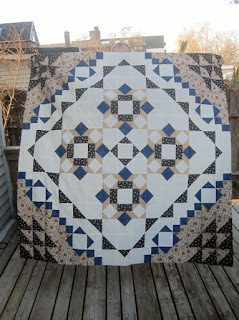 The mystery quilt has a happy ending; it is a stunning design and came out beautiful in your colors. Snow for us, too. Your mystery quilt is beautiful! We are also enjoying the signs of spring! 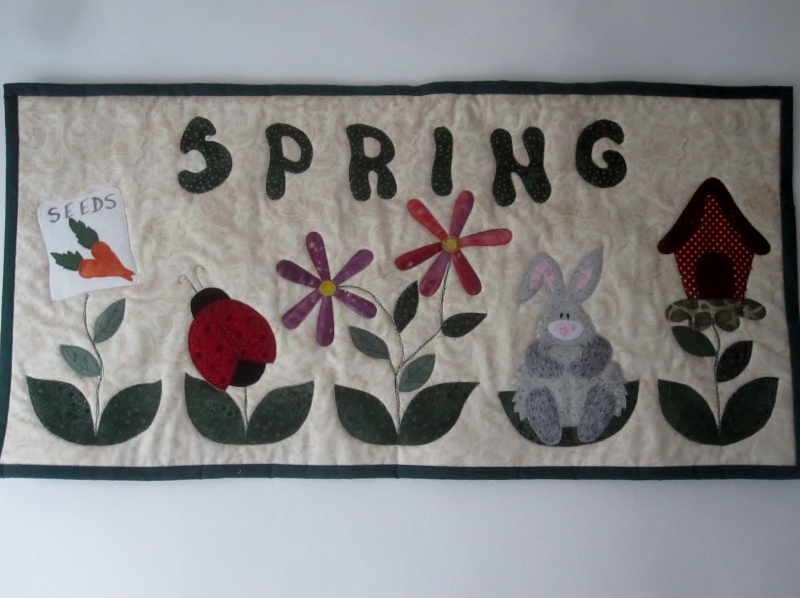 Your spring wall hanging is delightful. 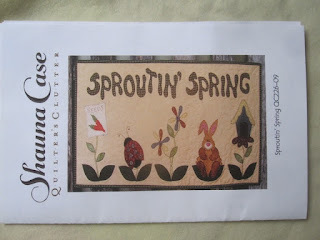 I have a couple of kits for spring wall hangings that I should get to. So many projects, so little time (sigh). Great job on the Mystery Quilt!